UltraGard Latex Powder Free Gloves are textured for superior gripping power. These are excellent gloves for professionals seeking a durable, examination powder-free glove for multi-purpose functionality. Meets or exceeds FDA and USDA guidelines. Textured for non slip gripping power. Disposable gloves provide an inexpensive, clean hand protection solution when sanitation and hygiene are essential. They're well-suited for use in industries such as food service, mechanics, healthcare, cleaning and more. PalmFlex offers disposable gloves that meet the hand protection requirements of any work environment. Available materials include nitrile, vinyl, and latex. 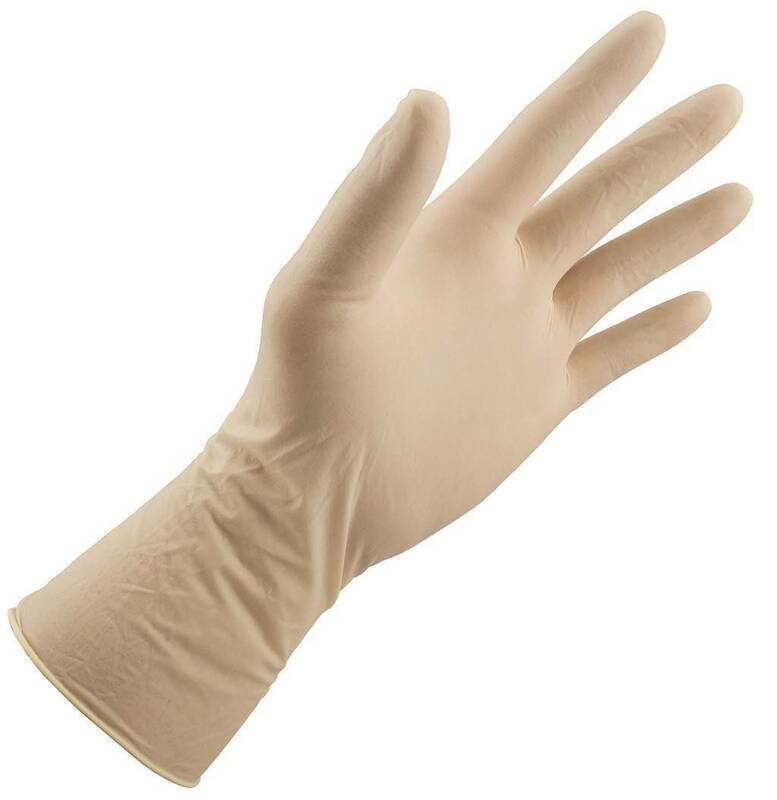 You'll never have to worry about finding the perfect fit when you purchase disposable gloves from PalmFlex. With options ranging from Extra Small to XXL, we make sure there's a glove for every hand size. You can also choose gloves in various styles, as well as many colors like blue, green, pink, orange and more. Order your disposable gloves online today and get free shipping within the continental U.S. for all orders over $80. Our 30-day return policy will allow you to make your purchase with total confidence. Feel free to contact us if you have questions or concerns — our knowledgeable product experts will be happy to assist you!